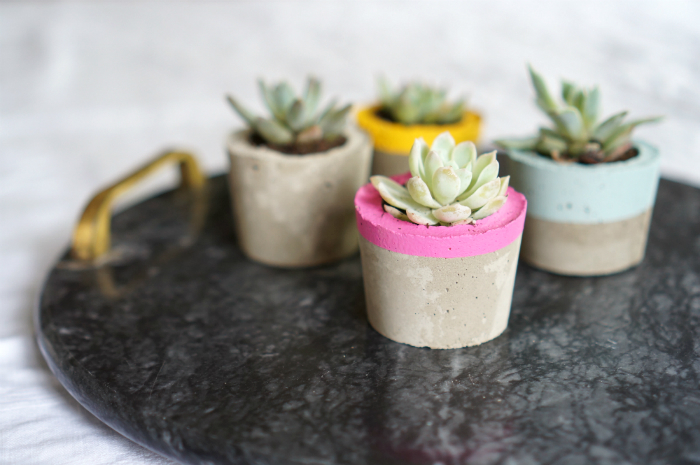 Crafting with concrete is hardly original, but it’s such a game changer, I have to gush. As long as you have the space to spread out and get a little messy (like a tarp in the backyard), concrete is one of my new favorite materials. 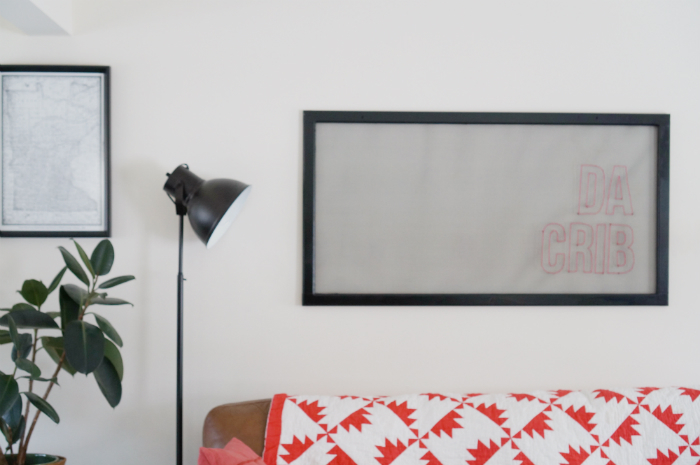 I love the minimalist, industrial vibe and it meets all of my crafting checkpoints: it’s accessible, inexpensive, easy to work with, and has multiple applications. Finished products look impressive and just by the sheer nature of concrete, no one assumes it’s a DIY. 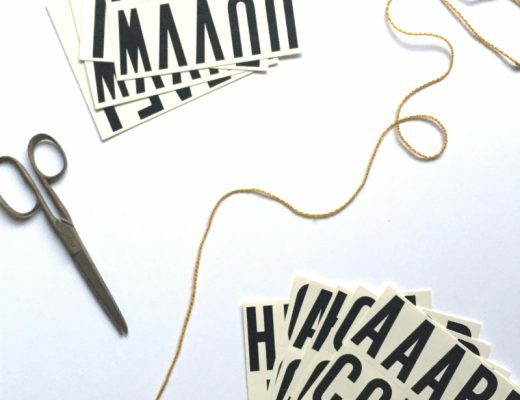 It has officially become a staple in my craft cabinet! I made these little guys for an upcoming sale, but they could be easily mass made for gifts, decoration or even inexpensive wedding favors. 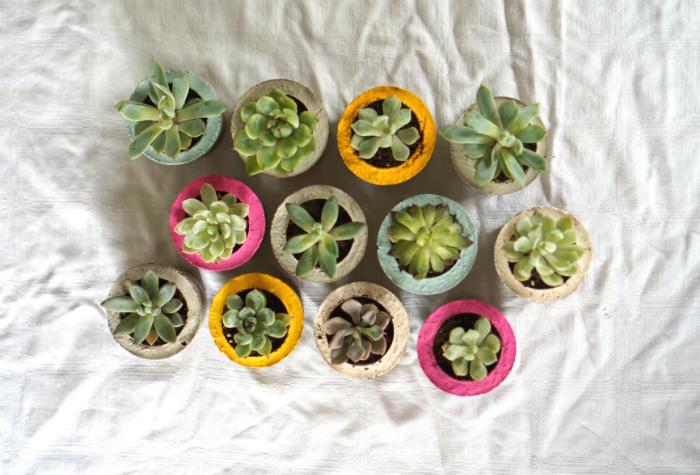 Buying succulents in larger quantities helps cut the cost of the actual plants, but they’re readily available in most box stores that have a garden department. Some shorter, ornamental grass would also be really cute (and more cost effective). 1. 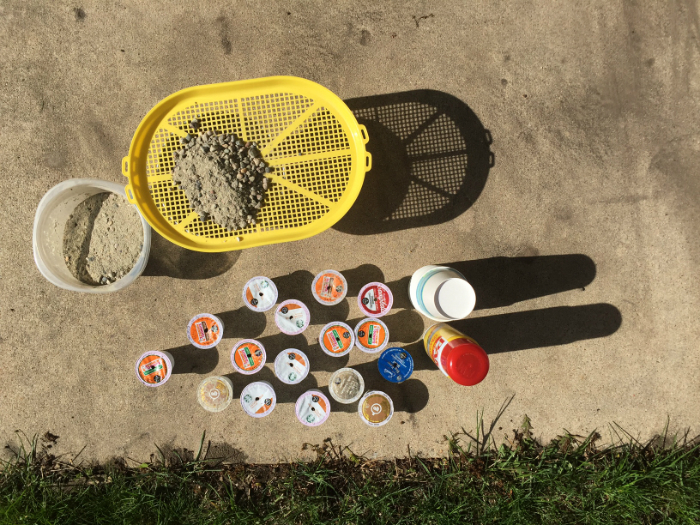 Start with sifting your concrete. Maybe it was just my bag, but holy cow, SO many rocks. Because my final little planter was so small, I wanted my concrete to be as smooth as possible so I sifted out the larger rocks. Use the larger bucket (or old tupperware container in my case) to catch the sifted stuff. Save the rocks for a future project! 2. 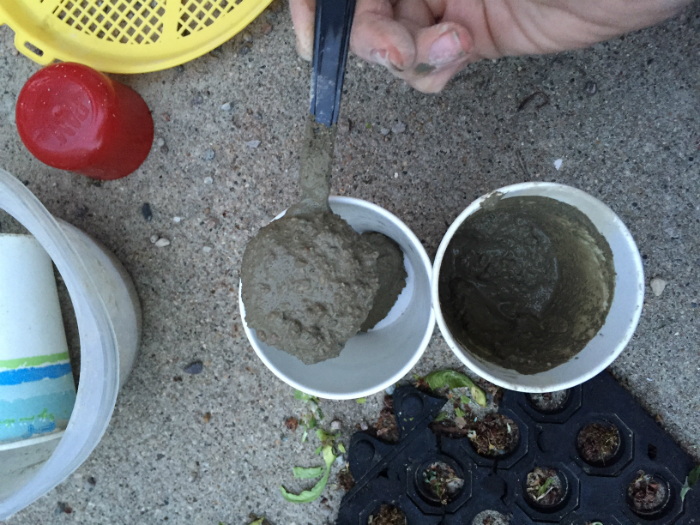 Mix your concrete with water. Turns out there are no instructions for mixing concrete in small batches. 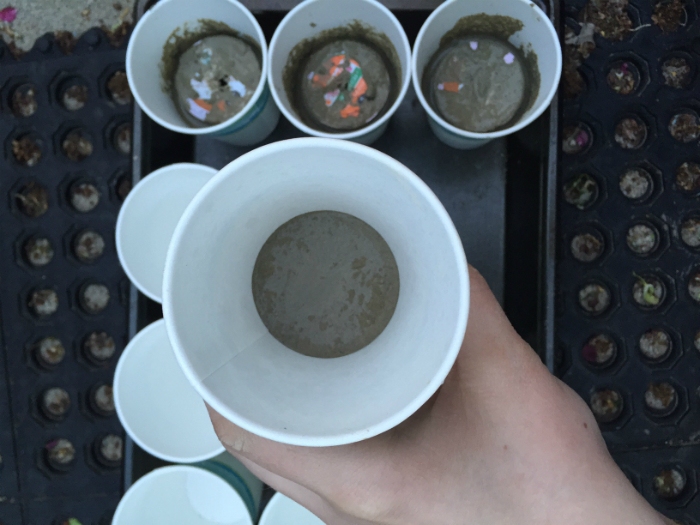 Working with a cup or two of concrete at a time, mix in water until it’s the consistency of cake batter. 3. 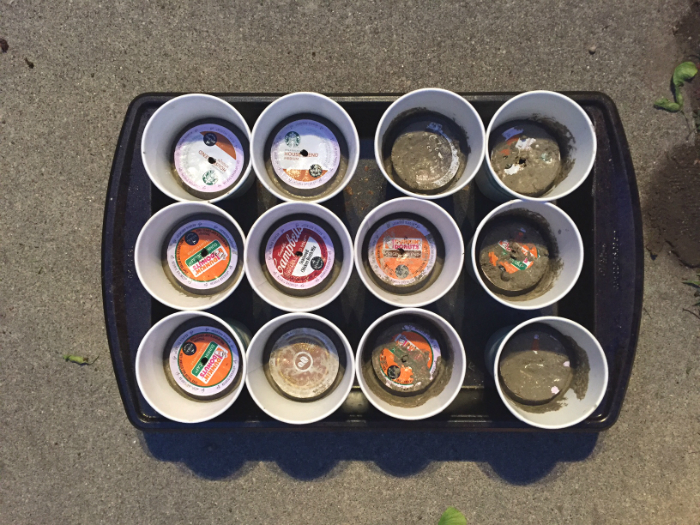 Spray the Dixie cups and used K-Cups with cooking spray. THIS IS VERY IMPORTANT and will make your life so much easier when the concrete dries. 4. 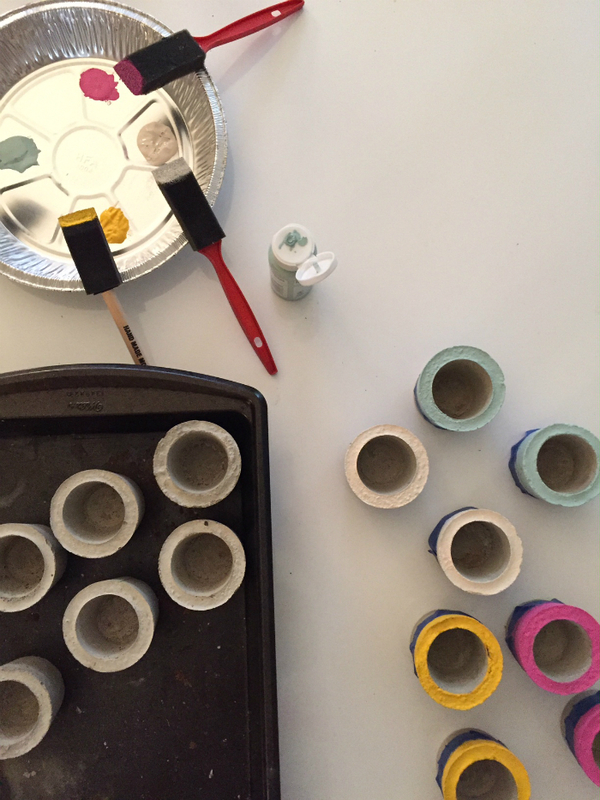 Using your plastic spoon, put five scoops of concrete into the Dixie cup. Tap the entire cup on the ground a few times to get rid of any air bubbles. 6. 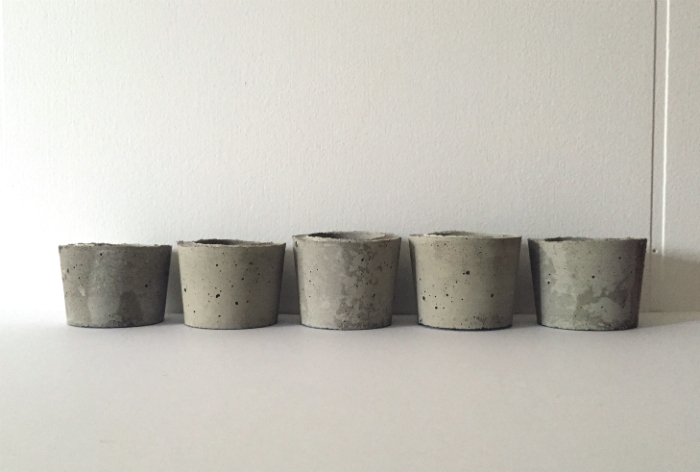 Continue with as many planters as you want to make. 7. Let set on an even surface at least 24 hours. 8. Tear off Dixie cups. 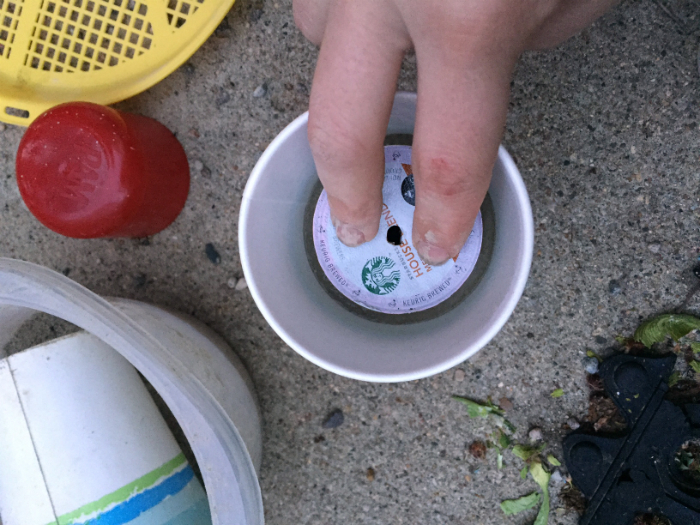 To remove the K-cups, you should be able to twist and pull and they should easily come out. You’re left with these cute little cups! 9. 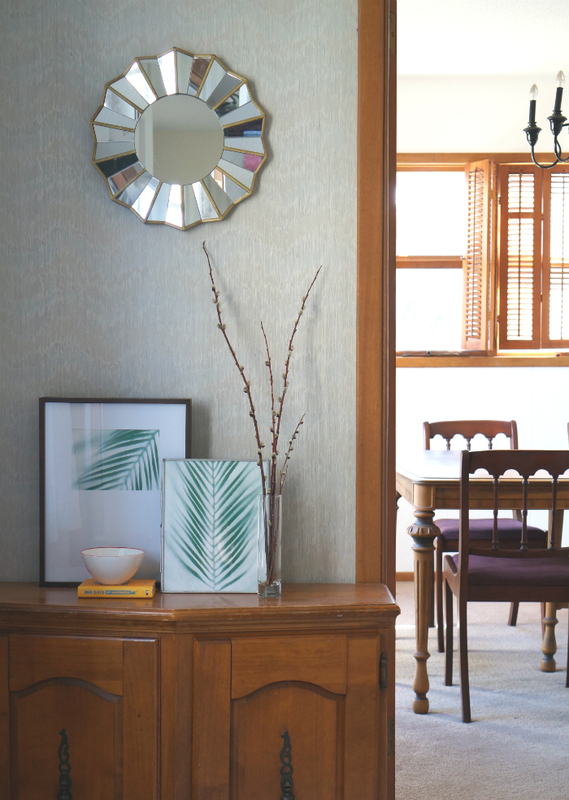 OPTIONAL: I love the natural look, but you can also paint and seal the concrete. TADA! 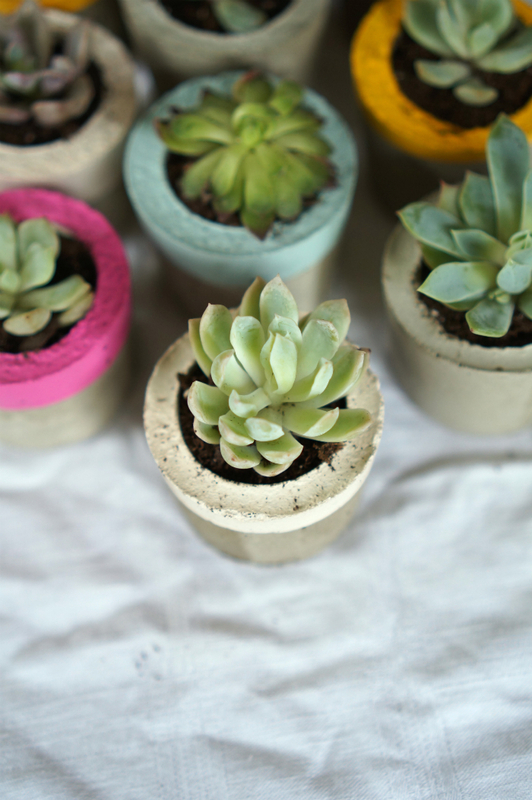 You’re left with adorable little plants to deck any space out with succulents!